The International Six Days Trial is a true giant amongst motorcycle races. 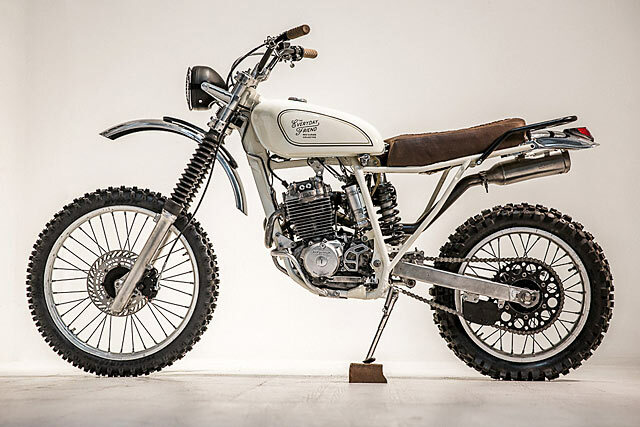 Celebrating its 100 year anniversary in 2013, it claims the prize for the world’s oldest off-road motorcycle race. Originally held in Carlisle in the north of England, in the Seventies it held its first race outside Europe. BMW put their brand where their mouth was and entered a four man factory team, including the renown Herbert Schek, in the race. 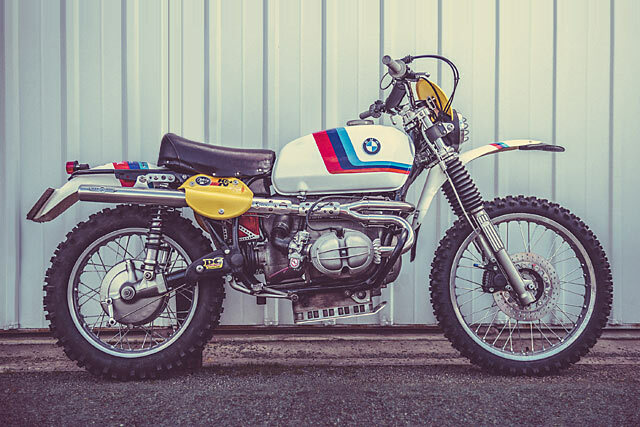 To celebrate the event, France’s Lucky Cat Garage have come up with an amazing R80/7 that pays homage to BMW’s bold, muddy efforts during those six long days in 1973. New tools customising old bikes. 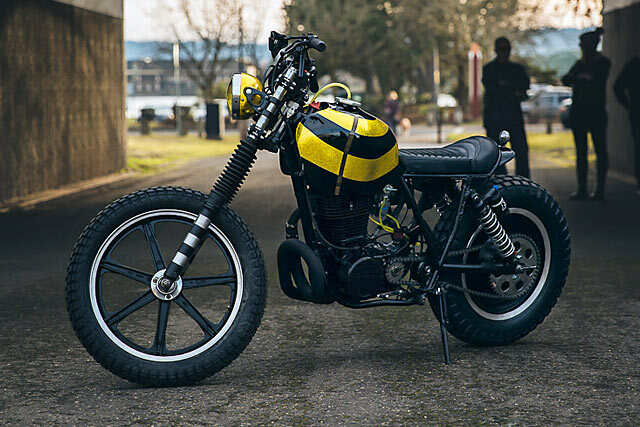 If you had to be blunt about it, that’s probably how you’d surmise the current custom bike scene. You need only to look at the old guard with their thinly veiled cries denigrating the beards and beanies to see that a ‘new tool’ generation has taken over from the old one. But today’s bike flips that equation on its coiffured head. 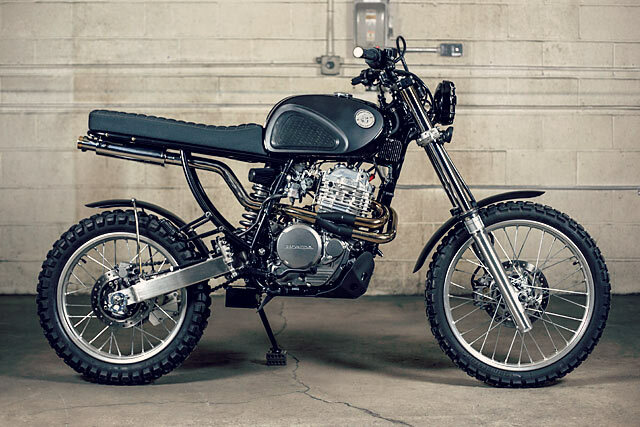 With tools that date back to New York in the 1880s and a bike that’s barely out of diapers, today’s Honda XR650L from Hill Moto, still ticks all the cool custom boxes. For some of the most isolated people on the planet, West Australians have a well-earned reputation for punching above their weight. Take Australian music, for instance. You may have heard of such bands as Tame Impala, The Scientists and INXS. Yes, you guessed it. They’re all from the West. Maybe it’s the sublime climate, or the clean water and fresh air. Hell, maybe they’ve discovered the meaning of life and they’re keeping it from the rest of us for shits and giggles. 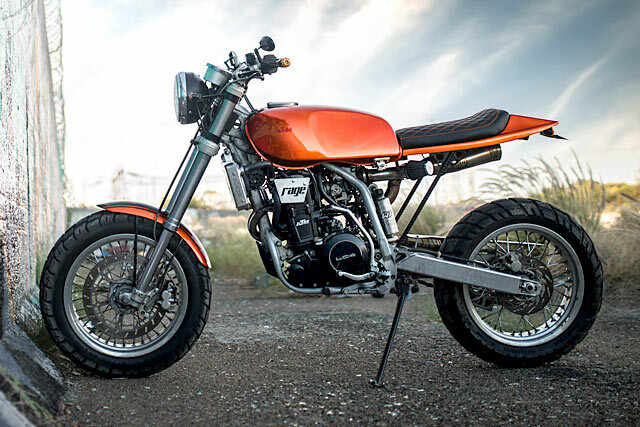 Steve Gernhoefer from Perth’s RAGE Motorcycles is obviously in on it. That’s the only rational explanation for this killer KTM 640 LC4. That and sheer skills.